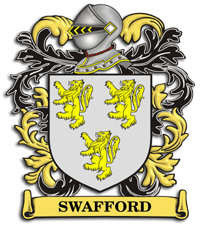 The Swafford-Swofford (also Swaffer,Swoffer,Swaffar, Swafer.Swarfor & other variations) name can be traced back to the middle ages (1200 A.D.) to the British Isles. At this particular time in the British Empire the invasion of the Normans was occuring throughout England & the Swafford & Swaffer names show up several times in period documents. 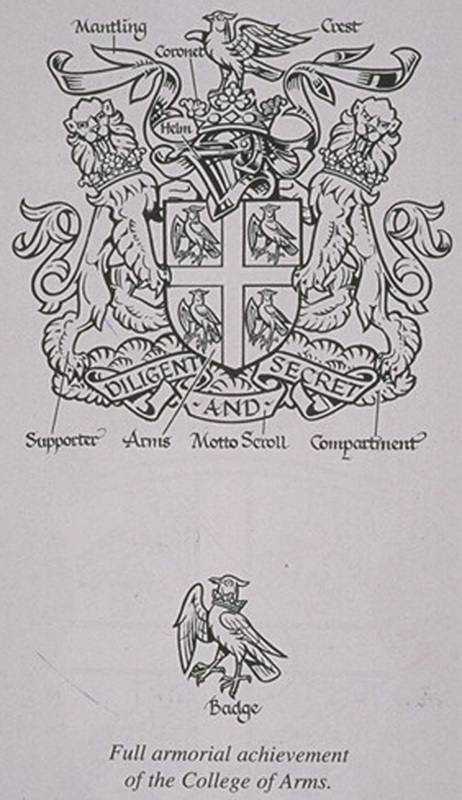 We have a Coat of Arms (explained below)granted to our Swafford-Swofford ancestor(s) in England. Several Swaffords (& Swaffer) are found in Parish records in the 1500s & 1600s (see DOCUMENTS) in England. Legend has it that some of our ancestors came from Ireland...even though there is no proof of this. Many Swaffords came to the "New World" in the 1600s & early 1700s. Legend has it that some were Quakers & settled present day Pennsylvania. Others came & settled in the "lower colonies" the Carolinas & Georgia. Some speculation is that some of our Swafford/Swofford ancestors received land grants for service to the Crown, while others came to America's shores as endentured servants or even as former inmates of debtors' prisons to start a new life. Now some 300 years since...we have Swafford-Swoffords all the way from Canada to the Carolinas, from Tennessee to Texas, from Florida to Washington state. SWOFFORD is the 13,905th most popular last name (surname). We even have a pond named for us, a log cabin design, a (now defunct) town, quite a few doctors & lawyers, a famous actor, a pop singer, artists, musicians, authors, a handbag designer, pygmy goat herders & various other occupations. We are as varied as our great country...enjoy the website..bookmark it...& tell all your Swafford-Swofford cuzzins to visit soon.